Moscow, October 13, Interfax - The Russian Orthodox Church is deeply concerned "over the anti-canonical actions" made by hierarchs of the Patriarchate of Constantinople's Ukrainian church structures in the USA and Canada, website of the Department for External Church Relations reports. On the instruction of Patriarch Kirill, DECR head Metropolitan Hilarion expressed the Russian Orthodox Church’s concerns at the 5th Pan-Orthodox Pre-Council Conference in Chambesy near Geneva. 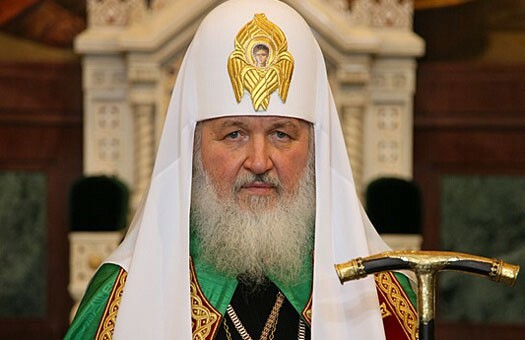 He explained that the mentioned hierarchs arrived in Ukraine allegedly on behalf to the Patriarch of Constantinople without informing about it the canonical Primate of the Ukrainian Orthodox Church, come into contact with the schismatics, declare the alleged readiness of the Patriarchate of Constantinople to grant autocephaly to the schismatics, challenge the Patriarchate of Constantinople’s universally recognized canonical acts of the past centuries, accept with honour the persons defrocked and excommunicated from the Church, letting them ‘celebrate’ in their churches and praying together with them. “We ask the Patriarchate of Constantinople to give an assessment to these anti-canonical actions and oblige these hierarchs to stop such actions destroying our pan-Orthodox unity,” Metropolitan Hilarions stated.